Electric light and actinic light... a pioneer. 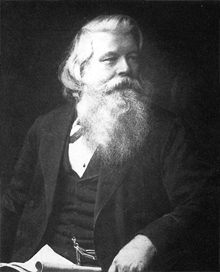 Although the English physicist and chemist Joseph Swan is most remembered for making an early electric light bulb, he also invented a dry photographic process. This invention lead to a huge improvement in photography and progress toward the development of modern photographic film. Joseph Wilson Swan was born on Oct. 31, 1828, in Sunderland, and he served an apprenticeship with a pharmacist there. He later became a partner in Mawson's, a firm of manufacturing chemists in Newcastle. This company existed as Mawson Swan and Morgan until recently. He worked at the company premises at 13 Mosley Street. In 1860 Swan developed a primitive electric light bulb that used a filament of carbonised paper in an evacuated glass bulb. However, the lack of good vacuum and an adequate electric source resulted in a short lifetime for the bulb and an inefficient light. When working with wet photographic plates, he noticed that heat increased the sensitivity of the silver bromide emulsion. By 1871 he had devised a method of drying the wet plates, initiating the age of convenience in photography. Eight years later he patented bromide paper, the paper commonly used in modern photographic prints. Swan's light bulb design was substantially that used by Thomas Alva Edison in America nearly 20 years later. In 1880, after the improvement of vacuum techniques, both Swan and Edison produced a practical light bulb. Three years later, while searching for a better carbon filament for his light bulb, Swan patented a process for squeezing nitro-cellulose through holes to form fibres. The textile industry has used his process. Swan was knighted in 1904. He died on May 27, 1914, in Warlingham, Surrey. f you should arrive here via a search, or be missing the navigation on the left hand side, click this button.